Moms can feel as if they are sprinting through life, crashing onto the pillow at day's end only to start again the next morning. 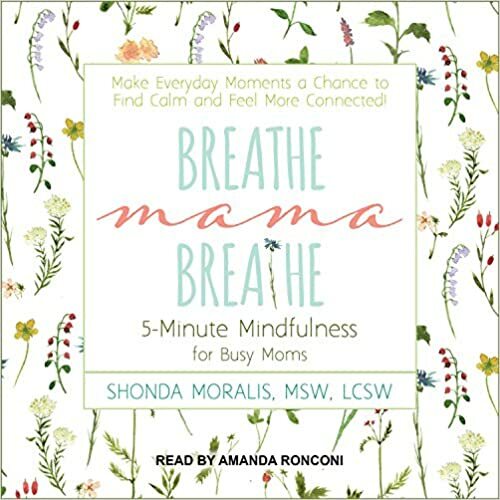 In Breathe, Mama, Breathe, psychotherapist Shonda Moralis outlines the benefits of daily meditation and shows moms how to do it-in just five minutes. Plus, she shares over sixty �mindful breaks� that will help moms tune into their own well-being (along with everyone else's): Eat a mindful breakfast-with no phone, TV, or newspaper! Cuddle your child and take three deep breaths together. Give yourself a mindful-mommy high five-because moms can use positive reinforcement, too. Every mom-whether caring for a new baby, an overscheduled grade-schooler, or an angsty teen-can become a mindful mama!